Rail - 04.10.2019 » Download PDF magazines - Magazines Commumity! Published fortnightly by Bauer Media, RAIL is the market-leading magazine covering Britain’s railways. 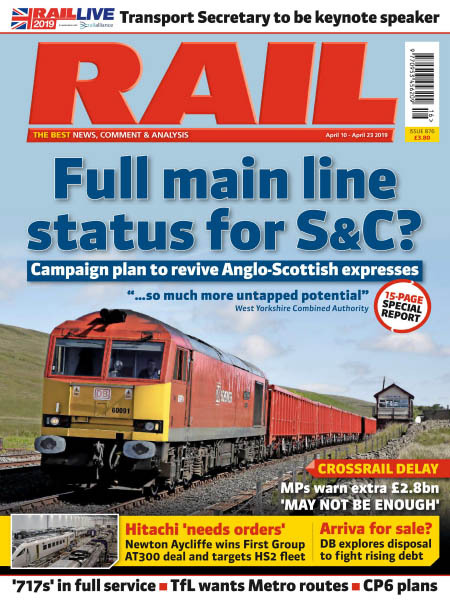 Launched in 1981, originally as a bi-monthly magazine, RAIL is designed to be the first choice for anyone interested in today’s railway, whatever their reason. 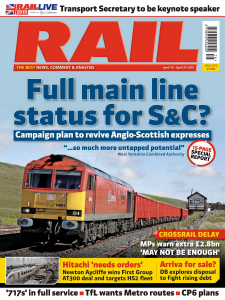 RAIL’s second-to-none news coverage is given context by its top-quality opinion, comment and analysis pieces from Britain’s leading expert commentators. RAIL’s news and features coverage embraces the full spectrum of activity, from Government policy and involvement, to operations, maintenance and services provided by Network Rail, train operators and the wider industry. Light rail and tramways are also covered in a magazine which campaigns hard for a fair deal for Britain’s railway.